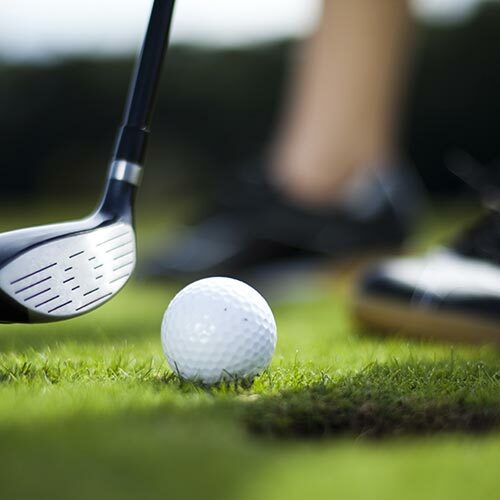 6106 meters (Men) / 5290 meters (Ladies) 18 holes-Par 72. 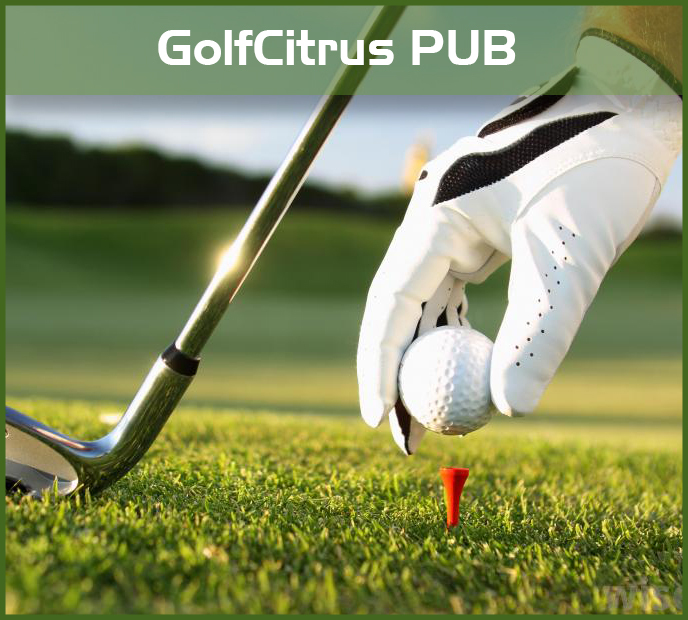 Large fairways built in an olive-grove area and sand traps within driving reach; this is a challenging course for all handicap players. Poor shots are often penalized by the omnipresent breeze and greens protected by the bunkers. 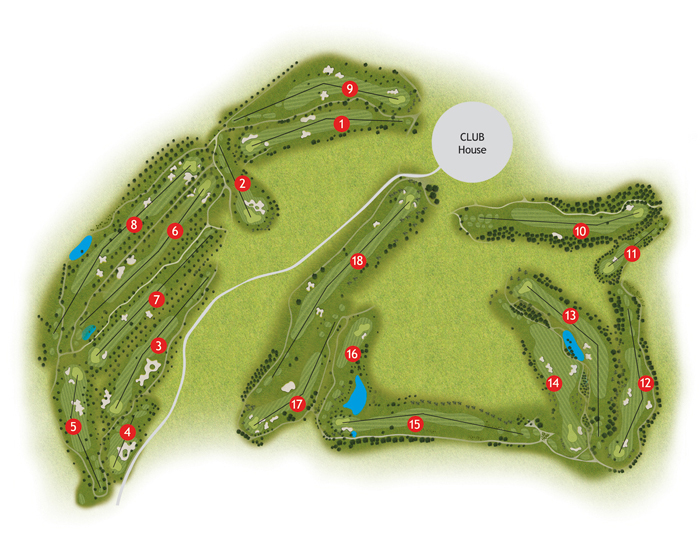 Hole No°15: 525 m, 470 m, 433 m, 406 m, Par 5, STR12. This Par 5 is the only hole bordering the motorway. The first stroke can only reach the summit of the rise provided the wind helps and the stroke is long and straight. The Green is visible after the summit only and is protected by a lake on the right side and by a Bunker on the left side. Hole No° 18: 514 m, 485 m, 461 m, 422 m, Par 5, STR 4. This Par 5 is played against the prevailing wind and one cannot afford to relax on this hole. 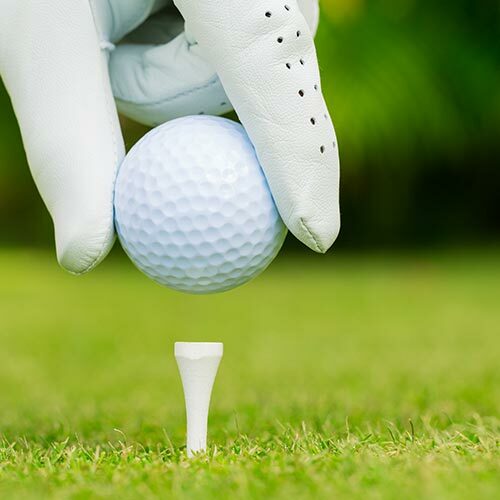 It is impossible to take in two strokes. 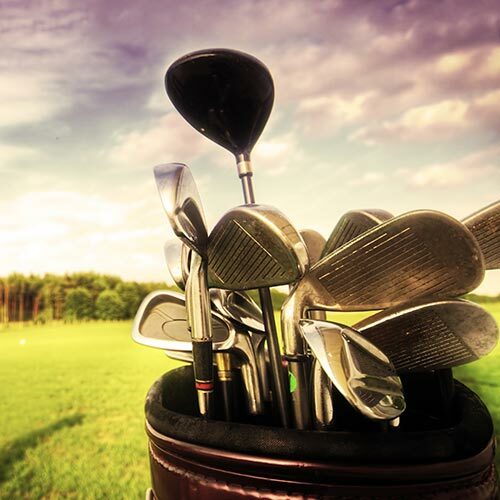 Good players would use a Driver, a 3 Wood and would always use a 9 Iron or PW, in order to reach the Green. Hole N° 1: 332 m, 320 m, 300 m, 294 m, Par 4, STR 7. This Par 4, although not too long, is nevertheless difficult. It has out of bounds on the left and a large bunker guarding the right side of fairway. The approach has to be judged carefully in order to avoid a deep bunker on the right hand side. The Par here is always a good score. Hole No. 8: 501 m, 465 m, 441 m, 413 m, Par 5, STR 3. Although the Fairway is relatively wide, this Par 5 is always played against the dominant wind (North-East). 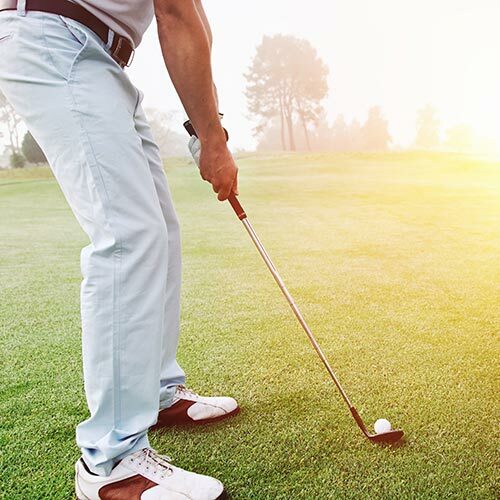 Even if you manage two perfect strokes, it does not automatically mean that the last stroke of approach will be easy to reach the green. 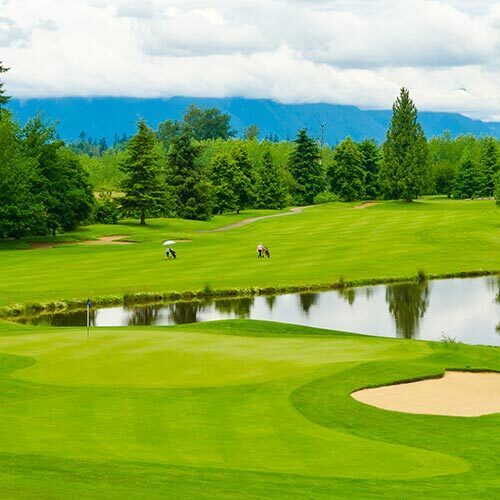 Hole No°9: 372 m, 358 m, 335 m, 306 m, Par 4, STR 1. Completely blind, bordered by out-of-bounds to the left and to the right and Dog-leg to the right, along with 3 Bunkers to catch Drives. 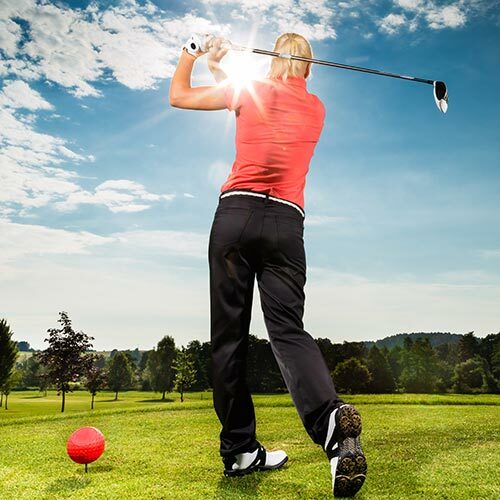 The first shot must be a perfect one in order to reach the center of the Fairway. As for the Fairway, it is protected by a well-placed Bunker, ready to catch most short balls or those hit slightly off to the left.